With the Tab 4 8-inch proving to be good value for your money it’s time to see how does its bigger brother continue the trend of being affordable and an excellent performer. One of the main highlights of the Lenovo Tab 4 10 Plus is its 10.1inch FHD screen. A simple rundown of its specs shows that the Lenovo Tab 4 10 Plus is powered by Qualcomm’s Snapdragon 625 SoC, 4GB of memory and 64GB of storage. Because the Tab 4 mostly shares the same design aesthetics as its younger siblings there really isn’t much to say except for its well-designed slate design with a glossy front and back, obviously the gripe also continues across the board of being a fingerprint magnet, getting a case is a must. 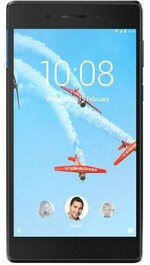 Compared to its younger sibling the Lenovo Tab 4 10 Plus is equipped with a front 5 MP camera and a rear 8MP camera which should be sufficient for general photography although users should have a dedicated camera if they want to shoot better images otherwise the included cameras are sufficient for general usage. While on the phone side of things Android manufacturers tend to have the fingerprint sensor on the back but on the tablet side of things it seems that instead of integrating the fingerprint sensor on to the home button Lenovo has decided to integrate it under the display which is puzzling. In terms of IO the Lenovo Tab 4 10 Plus is reasonably endowed with a microSD slot for storage expansion a USB type C for OTG support and an audio jack. The equipped IPS FHD display is of an aspect ratio of 19:10 which means it’s actually taller than your regular FHD display which is usually 1920 by 1080 pixels. Which in this case the resolution is 1920 by 1200. Overall the display is quite good, with excellent viewing angles and color vibrancy. As for brightness it remains reasonably bright even when outside where most displays suffer from view ability. While the equipped Snapdragon 625 is not as powerful as Qualcomm’s flagship 800 series SoCs it is actually powerful enough while being able to maintain reasonable power consumption under loads without hurting its battery life. With Android Nougat 7.1.1 preloaded users can expect the latest optimizations to come with it, although with the recent announcement of Android Oreo 8.0 users shouldn’t really expect an update from Lenovo anytime soon. 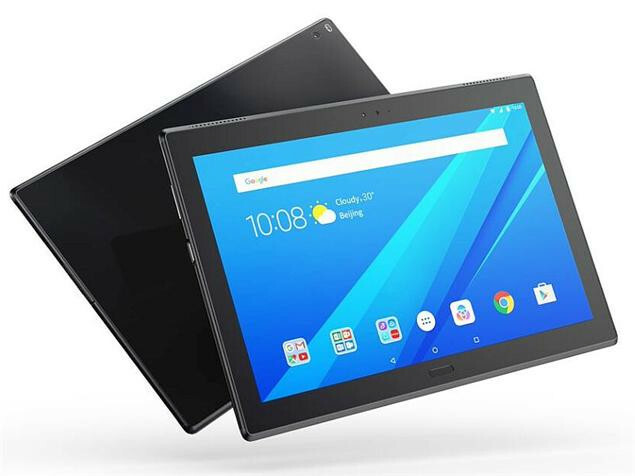 With a battery capacity of 7000mAh the Lenovo Tab 4 10 Plus is expected to last about 12 hours which is more than decent under normal usage although it could be better considering Lenovo’s other tablet the Yoga tab 3 10 plus lasted about 16 hours. In conclusion, the Lenovo Tab 4 10 Plus is a very remarkable tablet considering its price bracket and features but at the same time it is also quite bland since there are other better offerings from its competitors especially when it comes to screen resolution, but don’t let that be a downer since its rivals are about a year old already. Nevertheless, I’d still suggest most people pay the extra and get the 9.7-inch iPad. However, if you’re not into the iOS-ecosystem and prefer Android then you won’t be disappointed with Lenovo Tab 4 10 Plus. The screen is good for media, there’s plenty of storage on offer, and it doesn’t disappoint in terms of performance. The Lenovo Tab 4 10 was a great tablet for the price, and the Tab 4 10 Plus only adds to that. That 16GB of storage is really painful, but if you’re planning on relying on cloud storage and streaming services (and you don’t mind buying an SD card) this is a really great option for a lot of users. $279 gets you a lot of tablet, and in this price range I think you’d be hard pressed to find a better portable Netflix experience. The Tab 4 10 Plus impresses with its stellar battery life, design and display, but it has some performance issues. It’s not a revelation or an iPad-killer, but the Lenovo Tab 4 10 Plus is a solid Android tablet at an attractive price, with a big, decent quality screen and a fairly premium build. 80% Lenovo Tab 4 10 Plus review: The Android-based answer to the iPad? However, it's simply not as well built or considered as an iPad, despite costing the same sum of money. Positive: Nice connectivity; decent hardware; high autonomy; fast fingerprint sensor; elegant design. Negative: No video output; no NFC. Positive: Elegant design; high autonomy; decent processor; fast fingerprint sensor. Negative: Only 16GB ROM; no video output. Positive: Elegant design; high autonomy; good price; nice performance; fast fingerprint sensor. Negative: Only 16GB RAM; no video output. Positive: Elegant design; high autonomy; good price; fast fingerprint sensor. Negative: Only 32GB ROM; no video output; poor display. Positive: Powerful processor; nice display; support 4G LTE; fast fingerprint sensor; high autonomy. Negative: Only 16GB ROM; no video output. Positive: Support 4G LTE; powerful hardware; high autonomy; fast fingerprint sensor; nice design. Negative: High price; poor display; no video output; no NFC. Positive: Beautiful design; high autonomy; good price; fast fingerprint reader. Negative: Weak hardware; no video output; poor display. 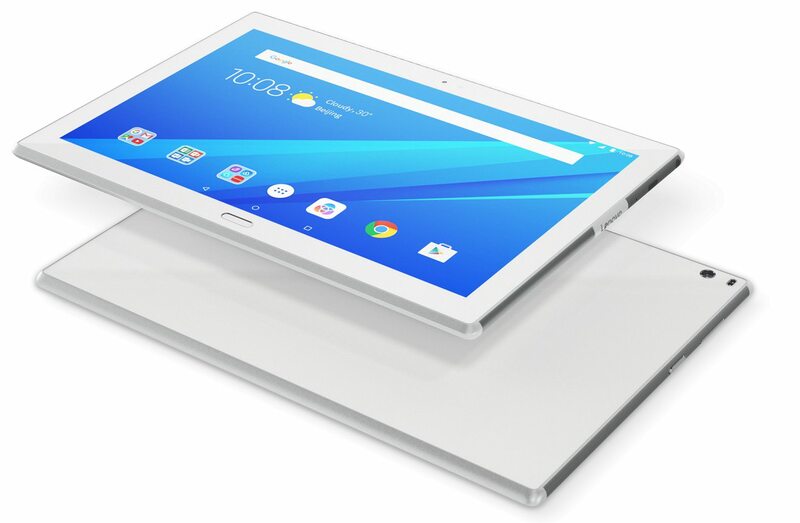 With the proliferation of cheap Windows based tablets and convertibles it’s a little hard to come by decent android tablets these days and if there are they are exorbitantly expensive. However, this doesn’t stop Lenovo from releasing the Lenovo Tab 4 8-inch which proves to be an affordable Android Nougat based tablet. Aesthetic-wise the Tab 4 is your generic square slate design which isn’t bad since simplicity is the key here. The Tab 4 chassis construction is pretty sleek which makes it look more expensive than it really is with both glass fronts and backs. While this is nice visually it is horrible under normal usage as this means the tablet is a fingerprint nightmare if the user doesn’t take care of it well or even add a case cover. In terms of hardware the Tab 4 is powered by a Qualcomm Snapdragon 425 SoC, 2GB of memory and 16 or 32GB of internal storage depending on configuration. Because it is using a low-end Snapdragon it is only appropriate that the included display panel be not more than HD as this can severely tax the processor when under gaming load. Although it should be noted that the Tab 4 does come in 10-inch and Plus variants which see a significant bump in hardware and screen resolution. The Tab 4 includes a front 2MP camera and a rear 5MP camera which is substantial at best but is naturally better than not having any at all. While 16 or even 32 GB of storage might be enough for light users or kids it should be noted that it still can be expanded via the microSD slot which should be handy. Over at the audio department the Tab 4 is equipped with dual front firing Dolby Atmos speakers which is great since that means cupping won’t be necessary and that users should be able to get the best out of the speakers even if they aren’t the best out there. The equipped IPS HD panel is more than sufficient when it comes to general gaming and web surfing although the color reproduction isn’t as vibrant as those on premium tablets it should be more than good enough for your daily user. At 89 percent of the sRGB spectrum it even trumps its nearest competitors not to mention the display is quite bright to the viewing. 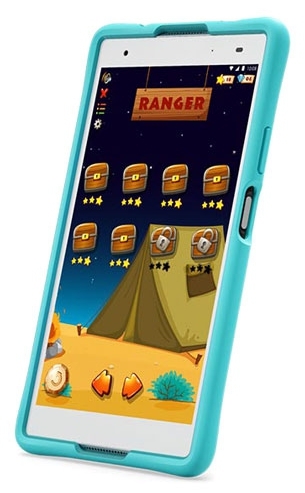 As a tablet battery life is always an important mention with the Tab 4 scoring 10 hours and 7 minutes at roughly half brightness while web surfing which is all to impressive, while it may not be the longest on the scoreboard it sure does have a take home on endurance ratings. Software-wise the Tab 4 is preloaded with Android Nougat 7.1 with some Google apps. Bottom line is at its given price the Tab 4 does surpass most expectations and that’s only for the lower end variant of the Tab 4, most likely the higher end variant of the Tab 4 would impress many if not most users. Positive: Support 4G LTE; decent processor; good price; nice speakers. Negative: Heavy; plastic case; poor cameras. Positive: Stylish design; nice display; long battery life; good price. Negative: Easy getting dirts and fingerprints. Positive: Low price; nice dual speakers; impressive design; decent processor. Negative: Poor display; only 2GB RAM; poor cameras. Its all-day-and-then-some battery life aside, the Lenovo Tab 4 10 lacks much in the way of performance oomph or other benchmark numbers that impressed. However, like its smaller sibling, it excels at the basics, and it goes above and beyond with its polish and design. As a price play, the $179 Tab 4 10 delivers a fair deal for the money, considering it's just a little more than half the price of Apple's 2017 starter iPad at $329. Positive: High autonomy; good price; decent performance; nice main camera. Negative: Plastic case; no video output. Positive: High autonomy; powerful processor; nice main camera. Negative: Plastic case; uncomfortable keyboard; no output video. Positive: Long battery life; nice display; good hardware. Negative: Plastic case; no video output. Positive: High autonomy; powerful hardware; decent main camera. Negative: Plastic case; no external keyboard; no video output. For £199, the Lenovo Tab 4 8 Plus is a good choice if your Nexus 7 has finally gone to tablet heaven. It’s compact enough to throw in your bag, but still offers strong performance and a decent screen. A higher-resolution panel would have been nice, though. While consumers might not really have much use for a tablet in 2018, that doesn't mean that companies aren't producing decent options. The Lenovo Tab 4 8 Plus is an LTE-ready device that handles day-to-day tasks fairly well and travels nicely. It won't win benchmark awards or last forever, but it's justifiably priced. Positive: Good price; decent harwdare; nice display; great built quality; USB-C; fast fingerprint sensor. Negative: No video output. 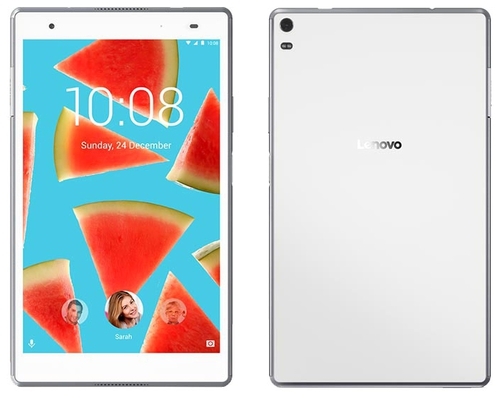 80% Análise: Lenovo Tab4 8 Plus – Ainda vale a pena? Positive: Solid workmanship; powerful hardware; long battery life. Positive: Support 4G LTE; good hardware; nice design; metal case; fast fingerprint sensor. Negative: No video output; poor display; easy getting fingerprints. Positive: Good price; high autonomy; decent speakers; 16GB ROM. Negative: Weak processor; only 1GB RAM. 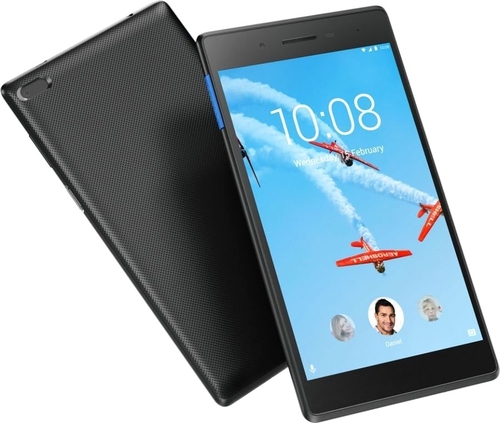 Positive: Powerful processor; 16GB ROM; high autonomy. Negative: Poor display; mediocre speakers; only 1GB RAM. Positive: Support 4G LTE; large battery capacity; decent speakers; good price. Negative: Plastic case; uncomfortable keyboard; weak processor; no video output. Positive: Support 4G LTE; 32GB ROM; decent autonomy; good speakers. Negative: Weak processor; plastic case; uncomfortable keyboard; no video output. Positive: Decent display; good hardware; compact size; light weight; nice selfie camera. Negative: Mediocre speakers; no GPS; plastic case. Positive: Nice connectivity; 2GB RAM; 16GB ROM; compact size. Negative: Poor display; mono speaker; low performance; plastic case. 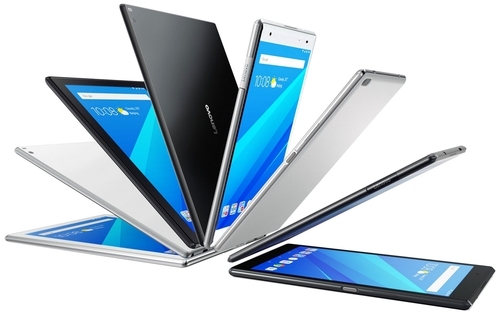 Positive: Support 4G LTE; 16GB ROM; 2GB RAM; compact size; light weight. Negative: Poor display; mediocre speakers; low performance; plastic case. Qualcomm Adreno 506: Integrated graphics card in the Snapdragon 625 SoC and based on the new 500-series architecture with support for Vulkan, OpenGL ES 3.1 + AE (3.2) and UBWC.These graphics cards are not suited for Windows 3D games. Office and Internet surfing however is possible. Qualcomm Adreno 308: Integrated mid-range graphics card in the Snapdragon 425 SoCs that supports OpenGL ES 3.0 and features unified shaders. ARM Mali-T720: Integrated graphics card in ARM based SoCs. Can be configured with up to 8 cores (T720 MP8) and 650 MHz core clock (at 28nm). Supports OpenGL ES 3.1, OpenCL 1.1, DirectX 11 FL9_3, and Renderscript.Qualcomm Adreno 304: Integrated mid-range graphics card in the Snapdragon 210 SoCs that supports OpenGL ES 3.0 and features unified shaders.ARM Mali-T760 MP2: The ARM Mali-T760 MP2 offers two cores (hence the name MP2) clocked with up to 700 MHz (resulting in 48 GFLOPS).ARM Mali-T720 MP2: Integrated graphics card in ARM based SoCs. Can be configured with up to 8 cores (T720 MP8) and 650 MHz core clock (at 28nm). Supports OpenGL ES 3.1, OpenCL 1.1, DirectX 11 FL9_3, and Renderscript.» Further information can be found in our Comparison of Mobile Graphics Cards and the corresponding Benchmark List. MT8161: Quad-Core ARM Cortex-A53 SoC clocked at up to 1.3 GHz with integrated Mali-T720 graphics card. 76.05%: This rating is not convincing. The laptop is evaluated below average, this is not really a recommendation for purchase.» Further information can be found in our Notebook Purchase Guide.